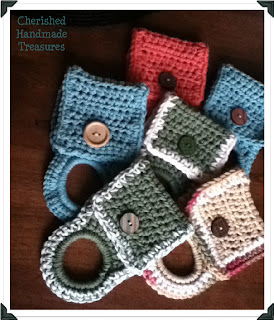 I found this fun creative project on the Drab to Fab web site. You can find the instructions here: Fabulous Accesories. They were so fun and easy to make. I did make a change. Instead of material, I used ribbon. Not that I don't have material to use, I have a wider selection of ribbon. You can use these flowers as various accessories. On a necklace as I did. Attached to a headband. Pinned to a T-shirt. Use your imagination! Mom, are you going to give me that necklace?? Because it is super cute and I have the perfect outfit to wear it with!!! <3 you!! Sorry, chickee. Made these for me! :) Luv you too! That looks very doable! thanks! I'm stopping by from the Alexa Hop. That IS a cute necklace and looks very easy to make! Neat! I wondered how they were made! CUTE! I'll have to try making one for my daughter! LOL...Just read the comment from your daughter...the way she worded...are you going to give me... sounds so much like my daughter! I guess we could be flattered by their wanting what we have...but it seems like my daughter wants it all! Here from the Alexa Hop. The flowers are too cute. I have no patience working with something so small...I'll leave that to you...you do a great job! Just checked to see if I was a GFC follower...I wasn't but I am now. Would love for you to visit www.fingerclicksaver.com Have a great weekend! Fantastic! I needed a tutorial for these suckers! Thank you! I've got to follow you now! oh wow that looks soooo simple :) yet beautifulll!! Wow! Those are beautiful, and they don't look too challenging to make! Thanks! Newest Follower from the lower your Alexa Hop. You can find me at Ms. Danielle Designs and at The Mommy Chronicles. That is so cute! Did you string the necklaces yourself? You have WAY more patience than I do! I'm here from the Alexa hop, by the way. I have a ton of excess ribbon in with my scrapbooking supplies and I never even thought about making flowers with them! I'm going to have to try this out some day. Stopping by from the Alexa hop. This is sooo beautiful! It has gone in my favorites. I hope you linked up at my blog hop. It ends on Sunday. so pretty....and with our newest blessing coming on monday or tuesday, i could make these to put on her little headbands! thank you for sharing! stopping by via the alexa hop, btw! That looks awesome - unfortunately I am not particularly crafty so will leave that up to you. Just stopping by from the Alexa Blog Hop. Have a great weekend. Wow I love that!! So pretty!!! You are talented! Cute idea! I like your edit of using ribbon! 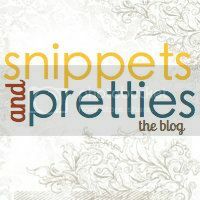 New follower via the real mom reviews blog hop! Thank you for sharing this great tutorial at Freedom Fridays. I think I will make them but not tell my daughters, because I don't wish to share, lol. Have a great week. Love! I recently made necklaces using fabric flowers. They look great with ribbon too. That is so stinkin' cute! Thanks for linking up at Doodles & Stitches. I hope you have a great weekend! I was searching for ribbon necklaces on Pinterest and found you; I have those exact earrings in the center of the aqua and brown flower :) Right now one is on the center of a beige satin yo-yo I made for a hair clip, now I know what to do with the other one. Thank you for sharing! Very cute idea.. So glad you found me. I had so much fun with these flowers and have made so many of them since these first few. You can make them so unique. I looooooove this. I can't wait to try it. My hop is in progress please add it, I'd love. My friends to see it too. I pinned it to my crafts board, I really can't wait. I love things like this. Thanks for pinning this. One of my favorite blog posts.